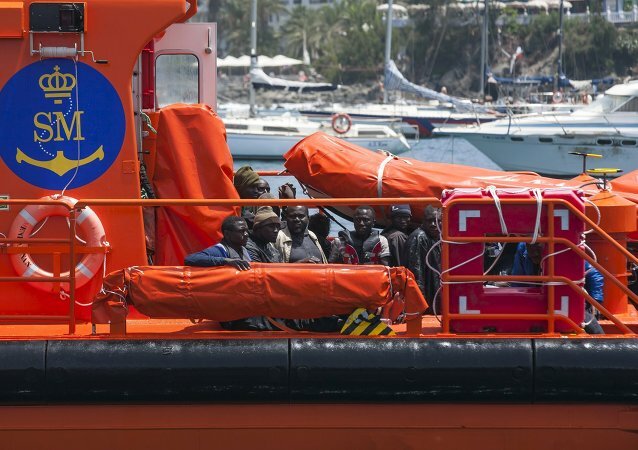 MADRID (Sputnik) – The Spanish Maritime Safety and Rescue Society (SASEMAR) said on Saturday that it had saved more than 250 migrants who were heading to Spain via the Mediterranean Sea over the past 24 hours. MADRID (Sputnik) - The Spanish Maritime Safety and Rescue Society (SASEMAR) said that it had saved more than 500 migrants on Wednesday who were heading to Spain via the Mediterranean Sea. Earlier information suggested that a total of 361 people were rescued. MADRID (Sputnik) - At least four undocumented migrants have died as a result of a boat capsizing off the Spanish coast, while the rescuers are searching for seven more people, the Spanish Maritime Safety and Rescue Society (SASEMAR) said Sunday.